2015 Reading: #8 Andrew Wilson’s Unbreakable – It's Time to Read! This is a little gem of a book. It is about 60 pages long, with very short chapters. It is easy to dip in and out of. Wilson is clear and concise – and funny. 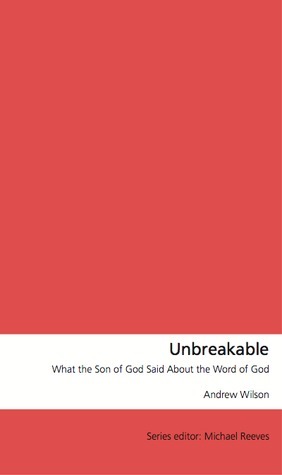 This book looks at what Jesus said about the Bible. It is a great introduction to looking at Jesus and looking at the Bible. This is a helpful book that I will be going back to many times.